When both the Pioneer boys and girls basketball teams won their TAPPS 1-A State Championships in 2014-the first for the boys and fourth in a row for the girls-we didn’t think anything could top that. But we were wrong! With more than half of the team graduating in 2015, the 2016 basketball season was an unknown. But Pioneer basketball has a tradition of hard work and winning, so the new squad began to prepare. It became apparent very soon that both teams were going to set their sites high once again. At the 2016 TAPPS State Tournament, both the boys and girls won yet again, making 6 straight championships for the girls and a 3-peat for the boys. The boys team went on to win TAPPS State Championships in 2017 and 2018, bringing their streak to 5 in a row! These amazing winning streaks shows the great depth of talent in Pioneer basketball. It also shows how the support of NCTA’s donors gives our students opportunities to excel in every way! 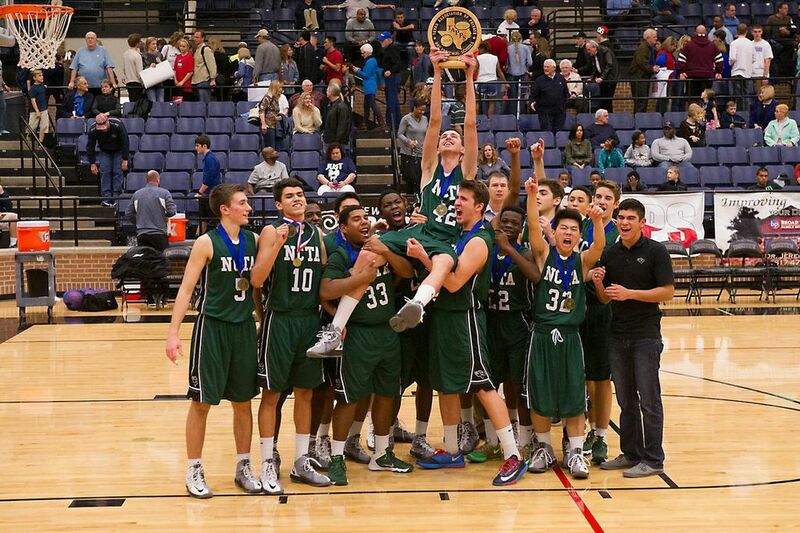 With nothing else to win in TAPPS, NCTA basketball moved to TCAL in 2019. Stay tuned for updates on Pioneer basketball!